See Part Numbers Below for Individual parts. 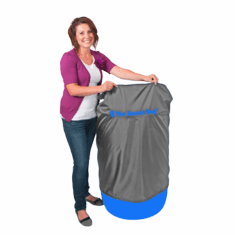 Regular and Heavy Duty Barrel Bag Covers~FREE SHIPPING!!! 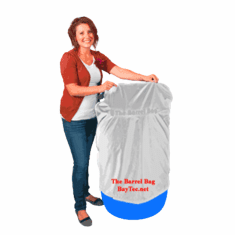 Heavy Duty is twice the thickness of our regular 55 Gallon Barrel Bag Cover and only cost $10.00 more with free shipping. Order yours Today to protect you drum or barrel. This is a perfect way to dress up your 55 Gallon Barrel so it blends with the natural setting. The Water resistant and has UV inhibitors help protect your barrel from decomposing in varying weather conditions. Sale Price with Free Shipping AS LOW AS $29.95 for Heavy Duty or $19.95 for Regular! 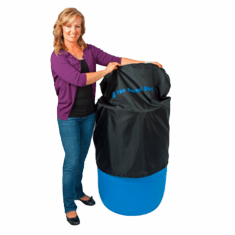 The Heavy Duty Barrel Bag� Green cover is designed to specifically cover and protect any standard 55 gallon water Barrel or Drum and works equally well for all 55 gallon rain water barrels.